Describe the most recent developments in paediatric oncology. Discuss the latest options of management of intraoperative complications. Identify educational resources, networks and other for exchange of knowledge and learning about paediatric oncology. Discuss the critical role of surgery in paediatric cancer care. Enhance new relationships with colleagues with common interests throughout the world. Describe latest developments about diagnosis, treatment and care of paediatric oncology. 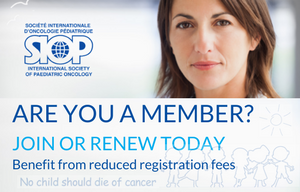 SIOP 2018 is the global meeting place for physicians, researchers, scientists, other healthcare professionals in the field of pediatric oncology and its sub-specialties. Because of the diverse, clinically focused educational offering, participants are able to tailor the curriculum to meet the needs of international clinicians of all levels of experience. The 50th Congress of the International Society of Paediatric Oncology is accredited by the European Accreditation Council for Continuing Medical Education (EACCME) to provide the following CME activity for medical specialists. The EACCME is an institution of the European Union of Medical Specialists (UEMS): www.uems.net. The 50th Congress of the International Society of Paediatric Oncology is designated for a maximum of, or up to, 25 European external CME credits. Each medical specialist should claim only those hours of credit that he/she actually spent in the educational activity. Kindly note that the SIOP 2018 online evaluation will be active on the last day of the meeting. You will then be able to access it and claim your CME/CPD certificate.